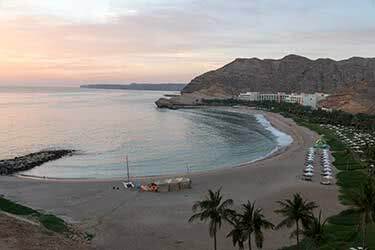 With its gleaming bay fronting the Gulf of Oman in the north and set against the dramatic Western Al Hajar mountain landscape towards the south, Oman's capital of Muscat is a port city like no other in the Middle East. The concave shorefront peering out across the water creates an image reminiscent of the French Riviera, whilst the old town's imposing mosques, narrow winding streets and centuries-old souqs offer a reminder of the city's long Islamic history. 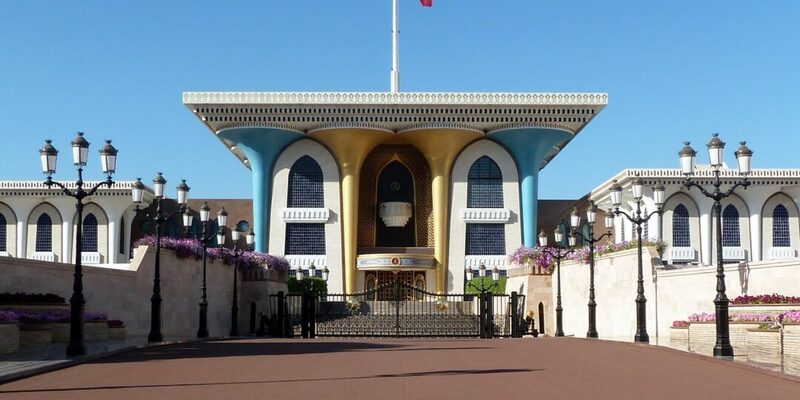 Muscat is also is city of contrasts, with an ever-expanding Central Business District and lively port area forming two of the main driving forces behind the country's emerging economy. Although overlooked by many as a mere gateway to enter the country, Muscat deserves more time, with a sturdy list of cultural and historic sites providing ample reason to stay for that little bit longer. Etched into the rocky cliff-face overlooking Muscat’s port, this fort was originally built in the 16th century by the Portuguese to hold prisoners. After being converted into a museum, the fort has since closed, but you can still get up-close by taking the steep but short climb up the snaking path to the top - the views from here are well worth the extra effort. A trip down to the city’s main waterfront is one of the most popular activities for day trippers, and this quaint bay becomes particularly enjoyable as the sun sets and the sea breezes pick up. Pick one of the dozen or so restaurants fronting the bay, or enjoy a cup of traditional Omani tea as you admire the views out into the the Gulf of Oman or across to the Western Al Hajar mountains that loom spectacularly over the city. 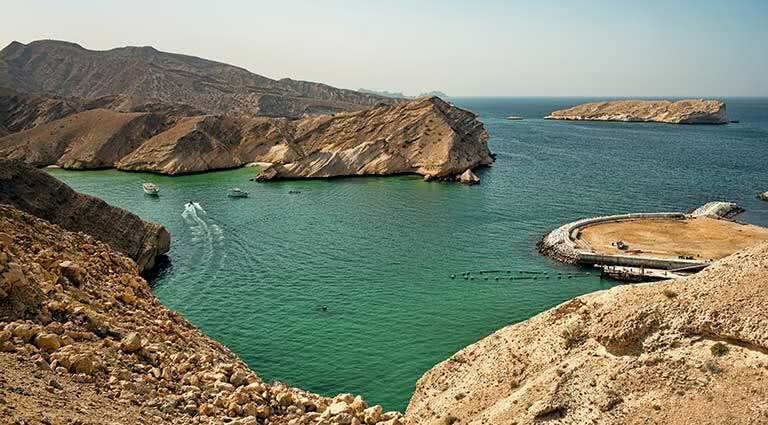 Muscat is fast making a name for itself as a top global diving destination, with the waters off the northeastern coast in the Gulf of Oman providing some particularly excellent diving conditions. Beginners can find a range of PADI centers dotted throughout the streets near the port, while those already qualified can rent equipment and hop on one of the daily excursions out. The major district of Mutrah was once a small fishing village; this trade has now all but vanished, paving way for the capital’s biggest and busiest market - or ‘souq’ - to dominate the region. The maze of narrow alleyways under the timber-roofed building conjure up an exciting mix of exotic sights and smells, all to the sound of the bustling crowds and hawkers squabbling over prices. 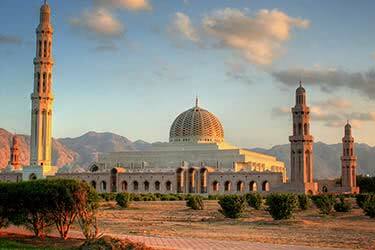 As both the capital and largest city of an Islamic country, Oman is in no short supply of mosques. The largest and most spectacular just happens to be the only one in the city that is fully open to non-Muslim visitors, allowing those of an alternative faith to appreciate the stunning architecture and design both inside and out. 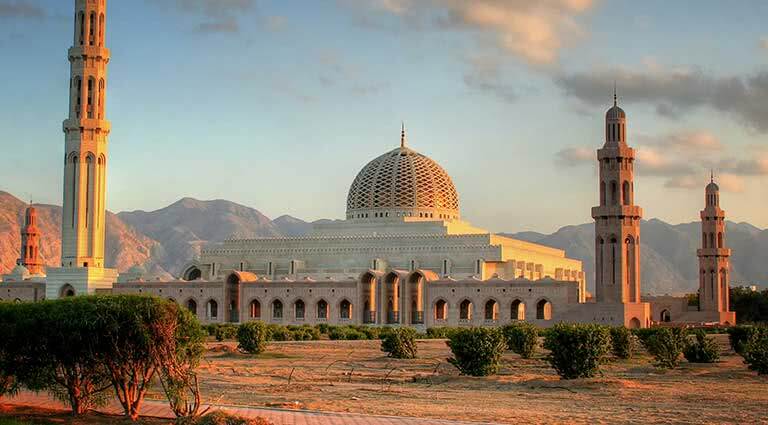 The whitewashed complexed topped off with a glowing golden dome is an icon of the country, and a must-see for all visitors to Oman. 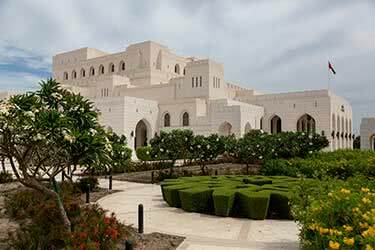 The rugged Al Hajar mountains make a rustic backdrop behind the fortress-like Al Bustan Palace, which overlooks a canopy of perfectly-manicured lawns and an expansive half-mile private beach. Authentic Arab influences run throughout the hotel and its 150 rooms to remind guests of the rich and ostentatious Arabian culture. 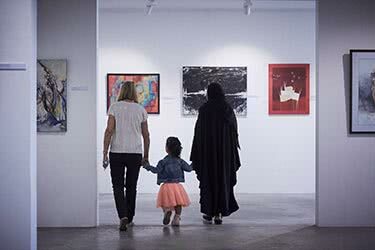 Beautifully-designed interiors are an artistic combination of old and new, fusing local traditions and art deco hints to create a unique melange of Middle Eastern culture and art. 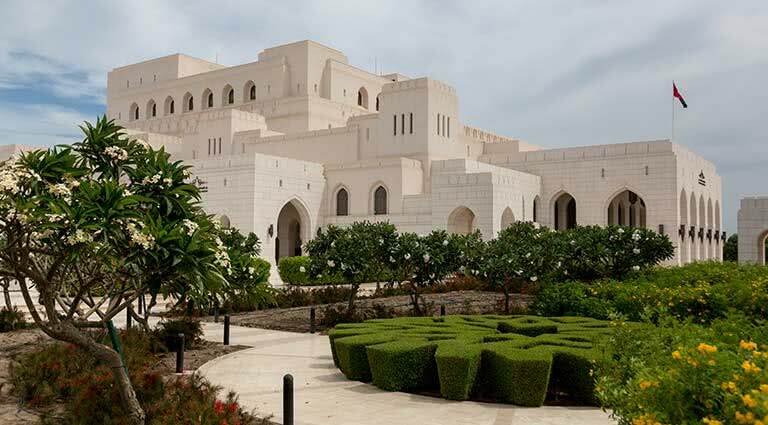 Particularly notable is the spectacular 125-foot-high domed atrium lobby, which, along with the ornate wall covers and intricate carvings has earnt the hotel the extravagant reputation as the ‘Jewel of the Sultanate’. Its idyllic location and range of facilities gives guests the opportunity to indulge in a number of watersports or simply relax in one of the five outdoor pools. Four exquisite dining options from alluring beachfront restaurants provide guests with spectacular sea views while they savour exceptional flavors from around the world. 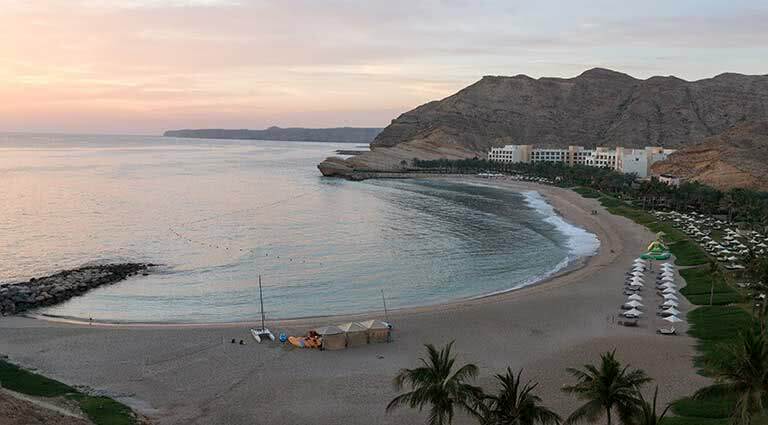 Just 15 minutes from the hustle and bustle of Muscat, Oman, the spectacular Shangri-La Barr Al Jissah Resort & Spa sprawls over a rugged peninsula, reaching out into the crystal blue water of the Sea of Oman. 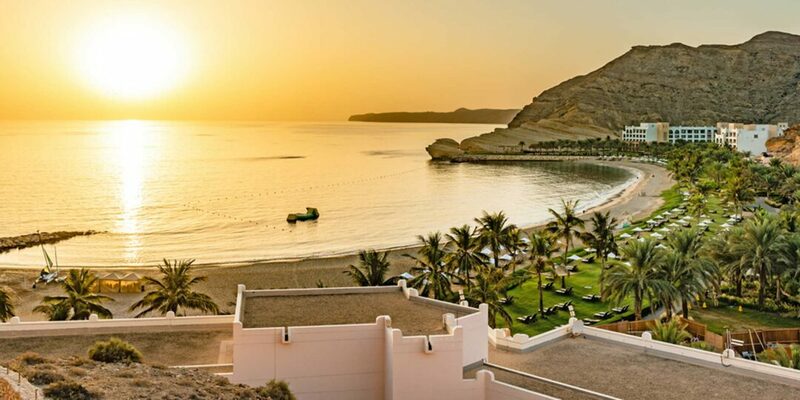 Featuring a long, sandy beach and surrounded by mountains, this resort matches its spectacular natural environment with its exquisite design and architecture, calling back to times of Arabian Palaces and local markets. 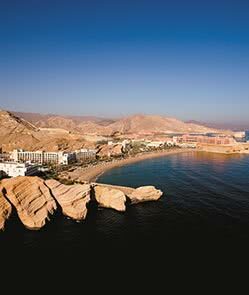 Guests may choose between three distinct hotels located across the property: Al Waha, “the Oasis,” a family-friendly hotel turned seaside paradise; Al Bandar, “the Town,” which serves as the shopping-and-eating hub of the resort, and the palatial Al Husn, "the Castle,” the most luxurious of them all. With world-class restaurants and seaside cafes and bars, a wide variety of water activities including sea kayaking and scuba diving, and –of course –CHI, The Spa, guests at Shangri-La Barr Al Jissah Resort & Spa will lose themselves in fun, in adventure, in luxury, and in style. 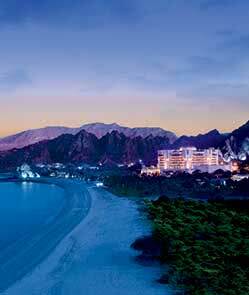 A stay at The Chedi in the Omani capital of Muscat is an experience like no other. 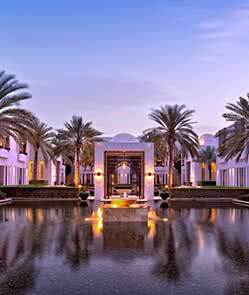 Sitting on its own private beach, with the glittering waters of the Gulf of Oman on one side and views of the Al Hajar mountains rising up behind, yet right in the thick of the city, The Chedi is an urban oasis from its sultry, lantern lit lobby to its lush Moroccan gardens and sumptuous Balinese spa. Guests relax in rooms combining traditional Omani architecture balanced with influences from around the world for a sleek, elegant and ultimately relaxing experience. 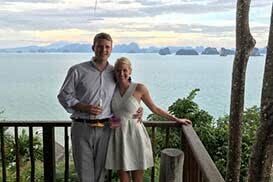 A culinary whistlestop tour is on offer with cuisines from nearby and as far afield as Europe and Southeast Asia, in artfully-designed restaurants, indoors beneath sparkling chandeliers and alfresco, with the sand underfoot. Leisure guests have every whim catered to with outdoor pools, a 13-suite spa, fitness club and souvenir boutique, while business guests can keep things afloat in the well-equipped business center. Dhow You Believe in Magic? 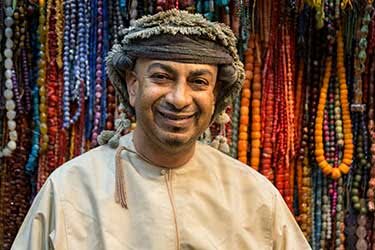 From Doha to Dubai and from Abu Dhabi to Muscat, a private dhow cruise is a must-do for the Middle East aesthete: transport from centuries ago and luxury for today. 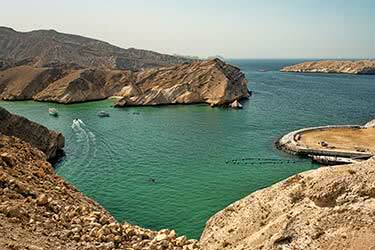 Oman is an Arabic country in the southeastern coast of the Arabian Peninsula, a historically strategic location - and not one that is commonly on the radar for many travelers. 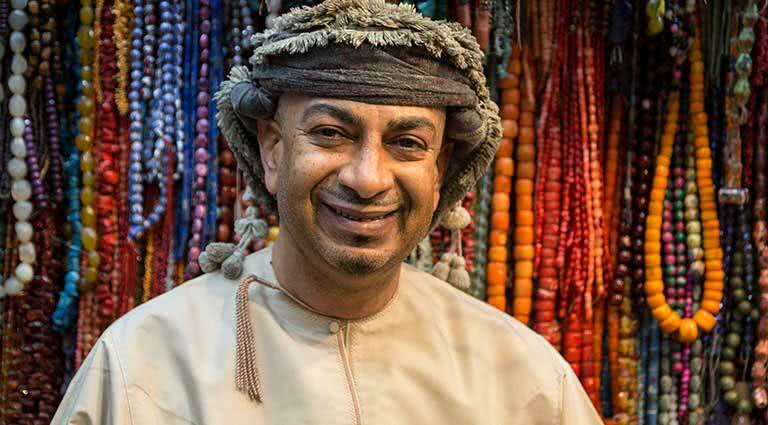 However, with increasing flight routes and its proximity to the UAE travel hub, travel to the peaceful coastal sultanate is easier than ever and worth a look.